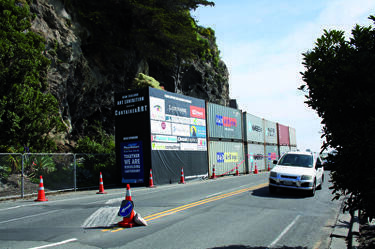 A photograph of a line of shipping containers protecting Main Road from rockfall. 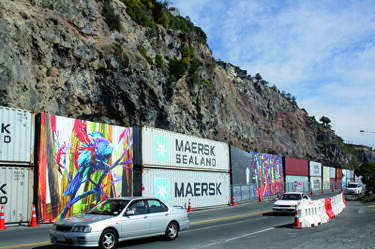 Two of the containers have covers printed with artworks. 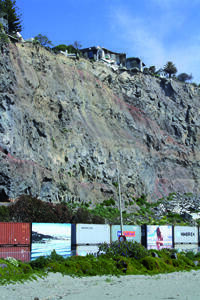 The remains of a house are suspended above the collapsed cliff. 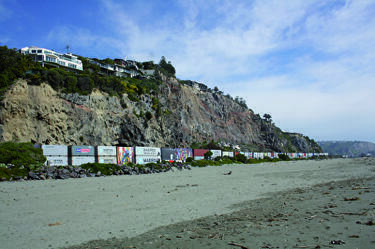 A photograph of a line of shipping containers protecting Main Road from rockfall. 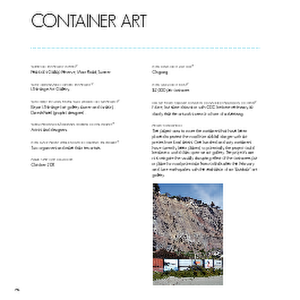 Several of the containers have covers printed with artworks.